You’ll be amazed at how much stuff has happened since the V8 Supercars Dunlop Series last raced at Phillip Island in 2007. Here’s a list, plus all the other support category info you need for this weekend. · Jamie Whincup won six championships. 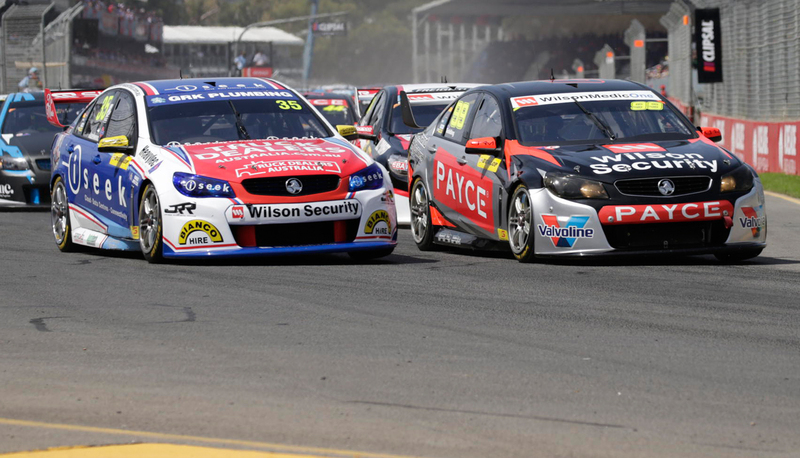 · There have been over 250 V8 Supercars races. · Will Davison won races with five different V8 Supercars teams. · Michael Caruso was still in the Dunlop Series (then called Fujitsu Series). · Cameron Waters, Scott McLaughlin, Chaz Mostert, Aaren Russell and Scott Pye were all still in high school. · Andre Heimgartner was about to start high school. · Social media became a thing. · iPhones became a thing. · John Howard was still Prime Minister. So, after nine years the category finally returns and it headlines an undercard that features the V8 Utes, Formula 4 and Aussie Racing Cars. The introduction of the current spec cars has brought the Dunlop Series to a new level of professionalism with heavy support from the main-game V8 Supercars teams. The two Prodrive FG X Falcons of Garry Jacobson and Jack Le Brocq led the way in Adelaide and are shaping up for a teammate battle that could last the whole season. The high-speed corners of Phillip Island suit the FG X, so they will be looking to cash in again during this weekend’s three races. Expect stiff competition from guys with good Island experience, namely Paul Dumbrell, Andrew Jones and Taz Douglas. I’m also expecting Richard Muscat to step up this weekend. Three races are scheduled for round three of the V8 Utes and just like the Dunlop Series it’s been a while since we’ve seen the tray-backs on The Island with their last appearance being back in 2010. The racing in Tassie was pretty good despite a slim grid. Race two ended up being a full reverse grid race and as a result it was an absolute cracker. Craig Dontas got the win but Ryan Hansford won the round. One advantage of the smaller grid is that it’s easier to score decent points every round, which ultimately means we have a very close championship. So far just 34 points cover the top five with 70 points available for a race win. Tight. Back-to-back island rounds kick off the Formula 4 title chase in 2016. The opening round down in Tasmania was dominated by Team BRM who took pole, all three races and round honours. But Phillip Island is a track where all the teams have substantial testing miles as well as experience from last year’s round to draw from. That should help the likes of AGI Sport’s, Nick Rowe to get to the front but I’m still tipping a BRM whitewash on the Island. Jordan Love impressed me with a couple of race wins at Symmons Plains but because he didn’t race here last year I’m tipping his teammate, Will Brown to pick up consecutive round wins. Credit where credit is due, while other categories are struggling with smaller grids the Aussie Racing Cars continue to pump out maximum fields and this weekend they have over 35 cars set for the second round of their championship. Breaking the slipstream is the key to success at Phillip Island. Last year we saw the front two drivers work together to try and gap the field with mixed results. Last year’s third race saw just 1.5 seconds cover the top eight cars, while race four saw a six second gap between the second and third place drivers, leaving the front two to fight for victory. Working with, not against the race leader could be the difference between having a shot at the win or finishing mid pack. Should be fascinating. · Dunlop: Jake Kostecki (16) and Alex Rullo (15) were just seven-years-old the last time the Dunlop Series raced here. Just let that sink in for a moment. · Utes: Expect Marcus Zukanovic’s 1m51.4137s qualifying lap record (set in 2006) to get absolutely annihilated this weekend. · Aussies: Defending champ, Brendon Pingel won the Adelaide opener. He’s looking to become the first back-to-back champ in 13 years. · Consistency: Both the V8 Ute and F4 rounds in Tasmania were won by drivers who didn’t win a race all weekend. You can catch all the support races live on Fox Sports 506 this weekend.